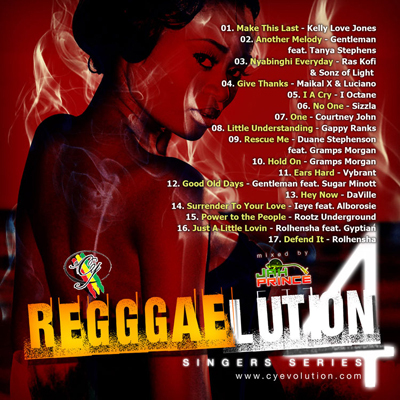 Another reggae mix cd to showcase the diversity of music released each month. Highlights include several vocal combinations and new music from Courtney John, Gappy Ranks, Gentleman and Gramps Morgan. 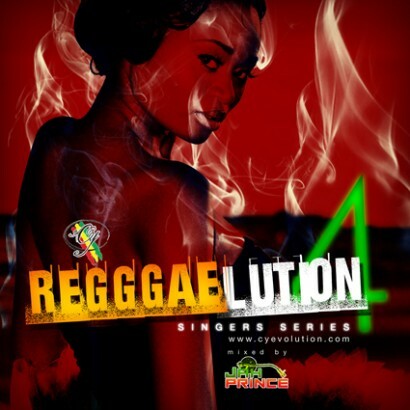 www.iLoveSunsplash.com – the new home of DJ Jah Prince, Selecta Princess & The Sunsplash Media Network. Jah Prince spins every 2nd Friday at MJQ Concourse alongside DJ Rasta Root, as they present an event called ‘Face Off Fridays’. This monthly party has been the highlight of the city for 7 straight years in which promotional mix CDs are hand delivered at the end of each night, providing new music to drive home safely. Then Jah Prince mixes Caribbean, African and American music every 2nd Saturday, at the Vibes Night Club in Decatur. These venues are both respected for their diversity and maturity of listening audiences. Every 1st Wednesday, catch Jah Prince at the ‘POWERSHOOT’ & Industry Mixer held at the House of Blended Ink Studios & Gallery (431 Fair Street), one of the most unique art galleries and exhibition spaces in Atlanta. Located in the heart of historic Castleberry Hill of Downtown Atlanta, H.O.B.I. Studios and Gallery is available to artists, photographers/videographers, choreographers, fashion designers and event planners. The 7,500 space is ideal for art shows/exhibitions, fashion shows, photography/video shoots, rehearsals and private functions. JayForce.com – Urban Music Blog and The Beatz & Lyrics Show with Jayforce. Atlanta’s livest hip hop radio show that airs bi-weekly from 10pm-1am EST Saturday Nights on WRFG 89.3 FM! (www.WRFG.org). CYevolution.com – Comfortable Clothing for a Conscious Culture, from the creators of Cooyah, since 1987.